See how celebrities like Kate Moss, Gwen Stefani, and Sienna Miller wear these stylish one-pieces. Try finishing off your look with one of these decorative accents. 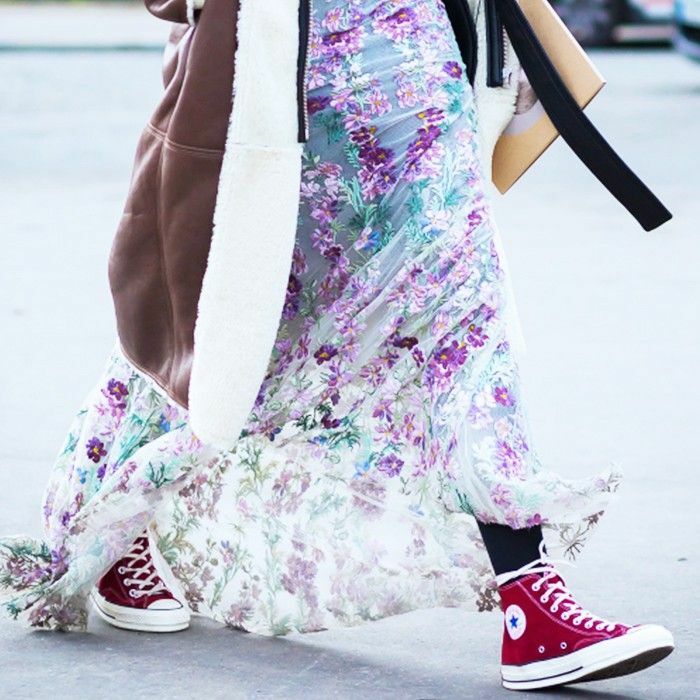 It's true: you can wear this childhood trend in a grown-up, sophisticated way. Shop our picks now. 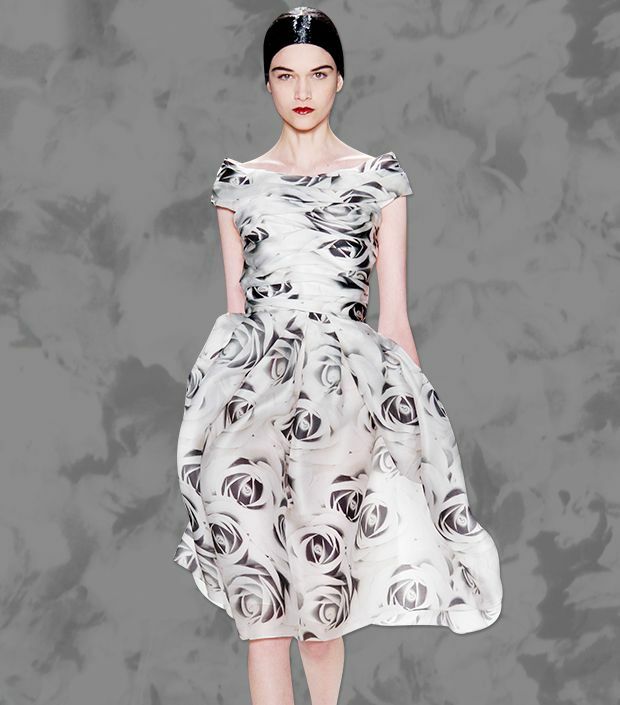 Everything's blooming on the runways and red carpet. See how stars like Diane Kruger and Lily Collins wear this look, and shop our picks now. 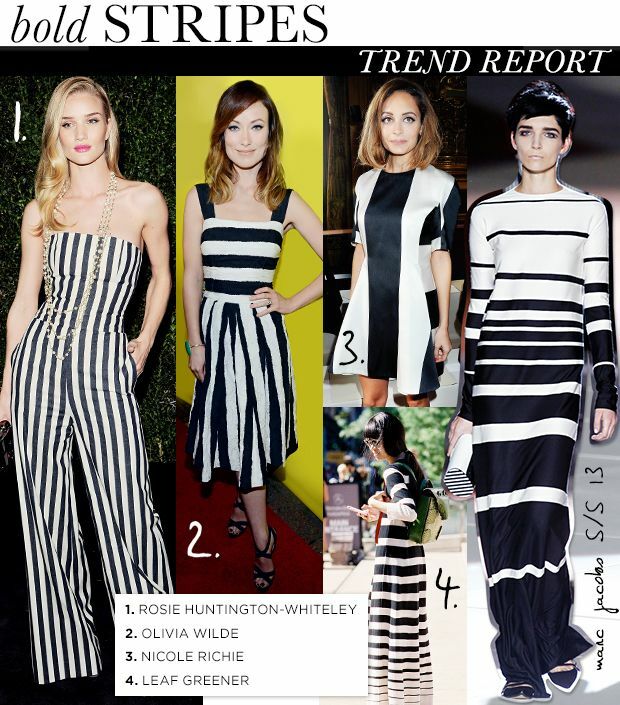 See how trendsetters from Nicole Richie to Olivia Wilde are wearing this graphic motif, then shop the look. Our New Favourite Stripe Trend. 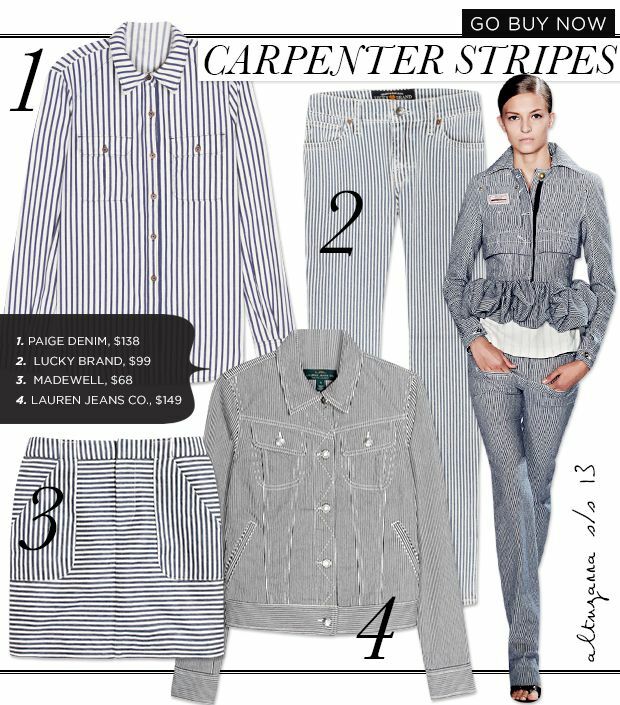 It's time to earn your stripes--carpenter stripes, that is! We've rounded up the best pieces to shop now.